Its time for the Easter StaxofSax Saxophone workshop 2017. Please see the leaflet for details of the date and venue and contact details. We will also be continuing with the format that we had at Christmas, with Large ensemble in the morning and Jazz OR small ensemble in the afternoon. Its your choice as to which you do after lunch, just let me know your preference. Could I ask that everyone forwards this post on so that we can get in touch with as many Saxophonists as possible please. We have 30 spaces to fill and would love to see a full hall. Just an update for those procrastinators amongst you., We have 22 places booked on this workshop and that leaves only another 8 available, and they are going fast now as people finalise their plans for Christmas. If you would like to join us for a fun day of after Christmas music making in Leicester then please let me know. I have attached the flyer with the full details for you to look at and please share to any sax playing buddies and teachers. Who is up for a days saxophonistic activity?? we have 7 dedicated players already booked for our next workshop. The date is set for the 10th of April at the South Leicester Salvation Army in South Wigston. This is an excellent facility with great acoustics, a free car park and an on site cafe. We will cover both large ensemble playing and jazz improvisation. The cost of the day is £30 per player. 22 sax players of all shapes and sizes, from curved and straight Sopranos right down to our very first Bass sax had a great day of making music yesterday. We should have 26, which would have been our biggest event yet, but the seasonal plagues took their toll on four players. Hopefully they will be able to join us on the next one. If you check out our Staxofsax Saxophone workshop page you will find that one of our regular attendees, Mandy, has posted some recordings, including the initial playing of ‘Lady Marmalade and the final playing of the arrangement. Have a listen to the improvisation recording and bear in mind that at least for of the players had never improvised before. So well done to them. An extra thank you should go to Mandy for bringing along enough cupcakes with saxophone decorations on for everyone to enjoy with their lunch. Keep an eye out for the next event which will hopefully be at easter. I Think this must be the summer for Garden Parties as I have taken bookings for 2 in 2 weeks. I love this type of gig as they are nice and relaxed and I get to meet some really nice people into the bargain. Its not a bad way at all to make a living is it. In 2012 I was asked to play at a charity concert to raise much needed funds for the Alzheimer’s charity. The concert was organised by a gentleman I met whilst busking, and he puts these events on every 2 years. He rang yesterday and asked me to play again, this time to raise money for Prostate Cancer funds. I of course, agreed to join in the fun and play a few tunes. So if you are around the Braunstone Working mens club in Leicester on Saturday the 8th November at 8pm, why not come and say hi and help raise some money for a very worthwhile cause. Conference Dinner at the Belfry Hotel, Wishaw. Wednesday afternoon saw me driving to the Belfry Hotel, part of the Belfry Golf resort near Sutton Coldfield. 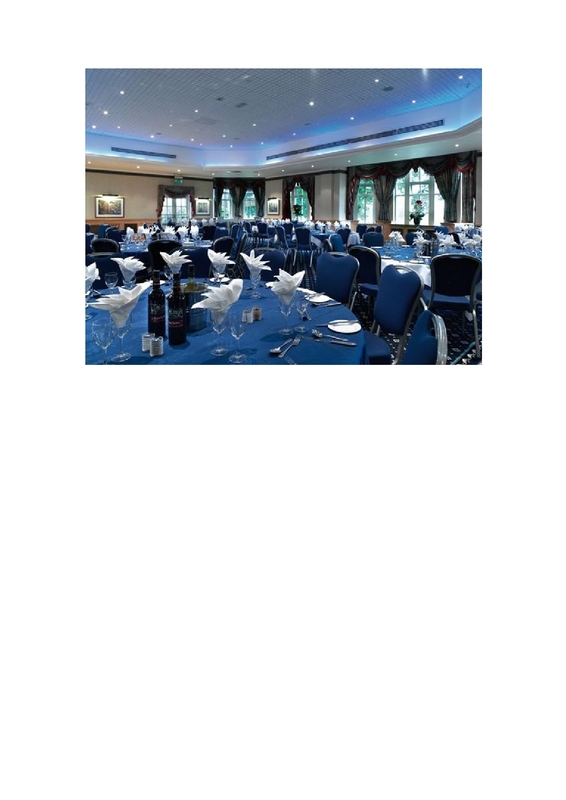 This is a very swish venue with a Hotel, Conference Suite, Spa and 3 Golf courses. The event was a pre-conference drinks and dinner for a large nationwide law firm and they certainly picked a lovely day for it. Music started at 6.30pm in the bar for drinks and gathering before moving into the Woodlands Suite for a very nice 3 course meal. Tunes ranged from Jazz standards, Michael Buble, The Beatles, Glen Miller, Van Morrison and lots of others. I had a good chat with a very nice gentleman who played sax who was going to be playing at a friends party and just wanted some advice on tunes. I finished playing at 9.15pm and handed over to the guest speaker and the rest of the evenings activities. There were lots of positive comments and I have since received an enquiry about another event.